We were excited that one of our friends is currently in Seoul for work and we met up with him in Yeongdeungpo-gu to have lunch and check out that area of town (it was our first time traveling across the river). It was probably about a 15 minute taxi ride and cost about 8,900 won. After lunch we decided to venture out on our own little Korean beer tour and I wanted to share with you our thoughts on the different Korean beers so far. One interesting fact about Korean beers is that most of them are brewed with rice. 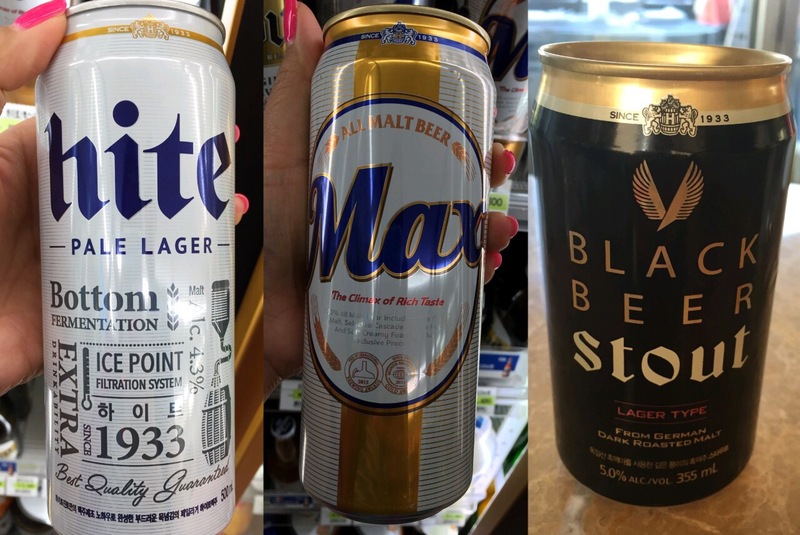 The Hite brand is by far the largest Korean beer brand – so far we have seen 3 different labels under them. Apparently they have a brewery in Hongcheongun (we will definitely be making a visit out there). 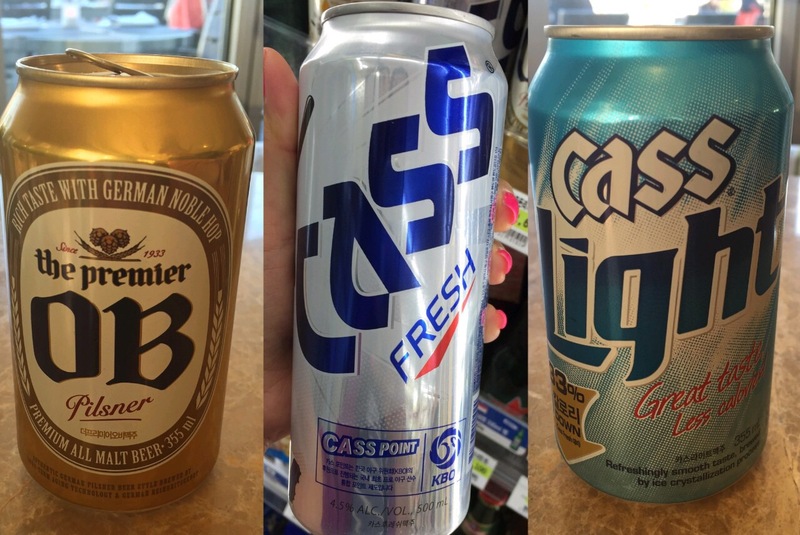 The Cass and OB brands are brewed by the Oriental Brewery. I’m not sure if they do tours of their brewery.